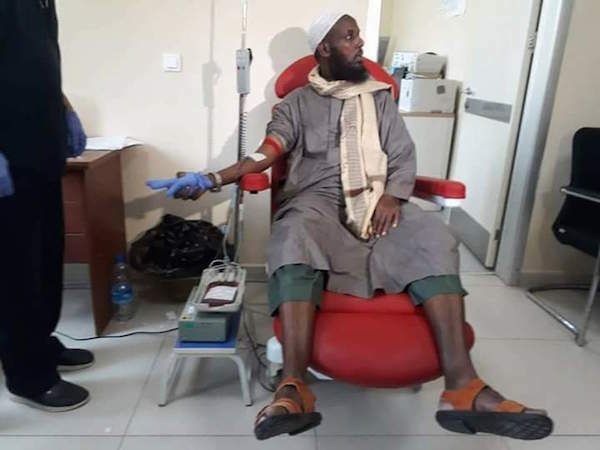 Mukhtar Robow, one of the founders of the al-Shabab militant group, has donated blood to survivors of the truck bombing in Mogadishu, capital of Somalia that killed more than 300 people and injured 429. The attack was one of the worst in the world in recent years. It is one of the deadliest attacks in sub-Saharan Africa. Residents of Mogadishu, while wearily accustomed to regular bombs and attacks by militants, have been left stunned by the monster explosion of Saturday. In a tweet on Monday, Robow was seen trying to save some survivors by giving out his blood. He rose in al-Shabab’s ranks to become its official spokesman and a deputy leader. He, however, fell out with the al-Qaeda-linked group’s leadership in 2013 and remained a fugitive in the remote areas of south-western Somalia until his surrender. In June, the US State Department withdrew Robow from its terror list and lifted the $5m reward for information leading to his capture. On 13 August 2017, he turned himself over to authorities in Hudur, according to Hassan Mohamed, minister of internal security for the country, and was subsequently flown to Mogadishu. Two days later, he held a major press conference in Mogadishu, denouncing al-Shabaab and reiterating he had left the group in 2012. He also announced his defection to the Somali government.